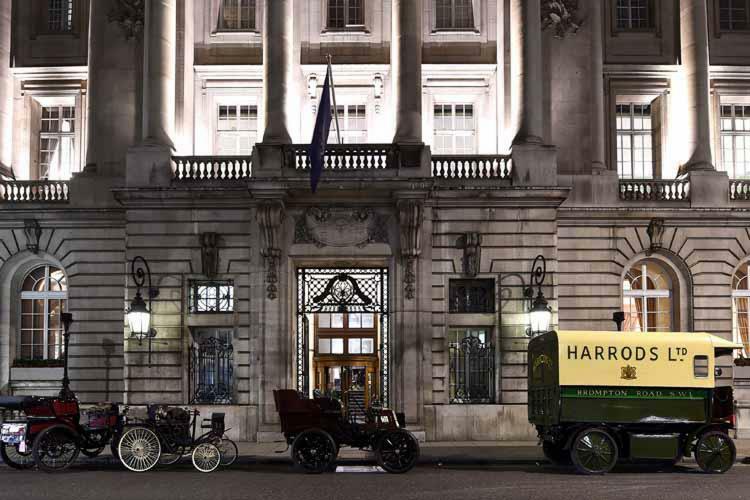 Harry Lawson formed the first motoring club in the UK. This Club celebrated the passing into law on 14 November 1896 of the Light Locomotives on the Highway Act by driving 60 miles from London to Brighton. 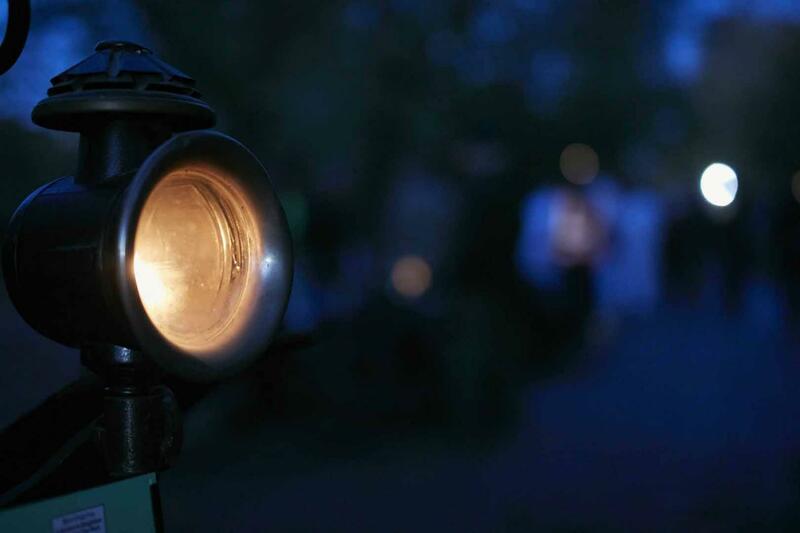 The 1896 Act of Parliament raised the speed limit for 'light locomotives' not exceeding 3 tons, from 4 mph to 14 mph. 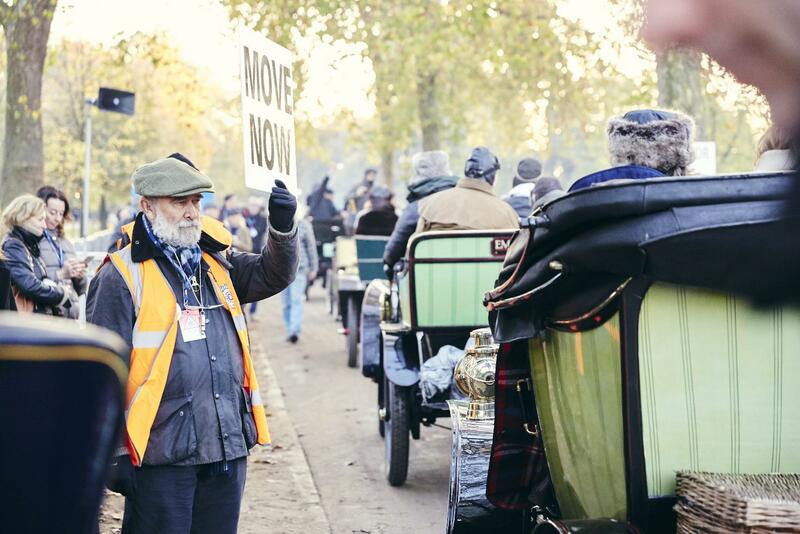 The Act abolished the requirement for the cars to be preceded by a man on foot with a red flag. 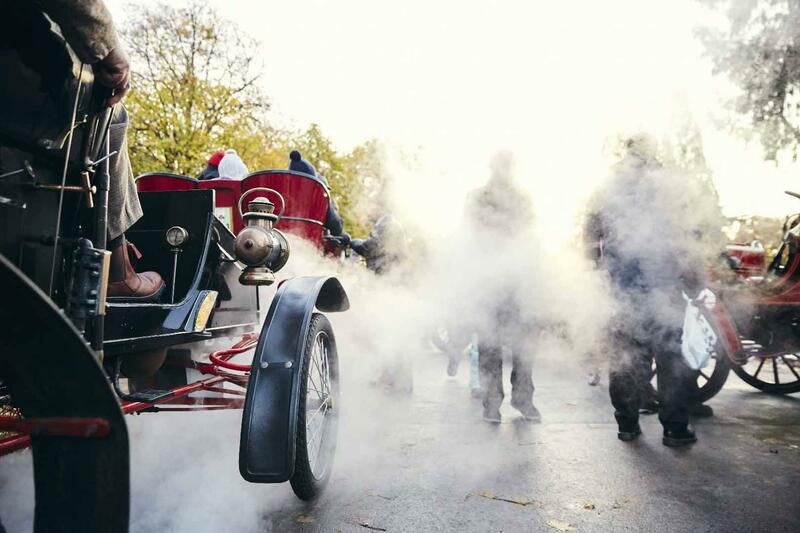 For the first annual Commemoration Run the Motor Car Club drove from Whitehall Place to the Sheen House Club adjacent to Richmond Park, south west of London, a distance of about eight miles. 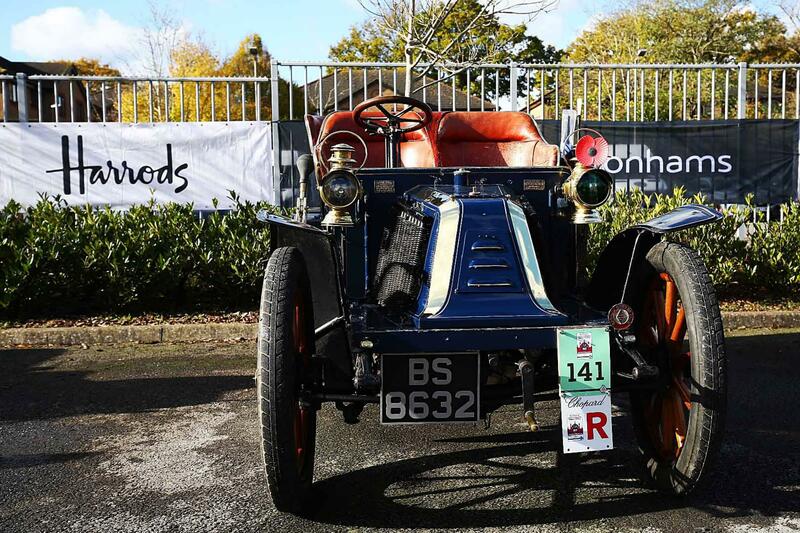 For the second annual Commemoration Run the Motor Car Club again drove to Sheen House. A much larger and better organised affair than in 1897, some 280 members of the Club enjoyed a concert and a five course luncheon with fine wines. 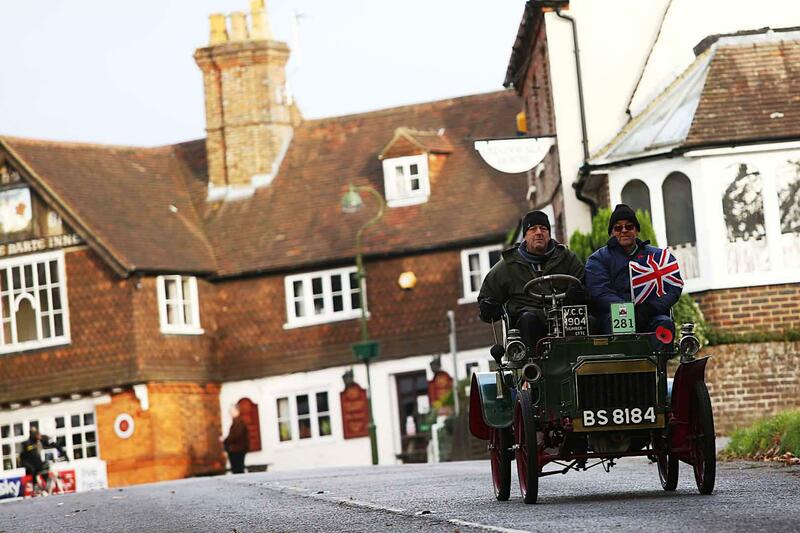 This was The Motor Car Club's third Commemoration Run, but their first to Brighton. The newer Automobile Club (now the Royal Automobile Club) drove to Sheen House the day after. 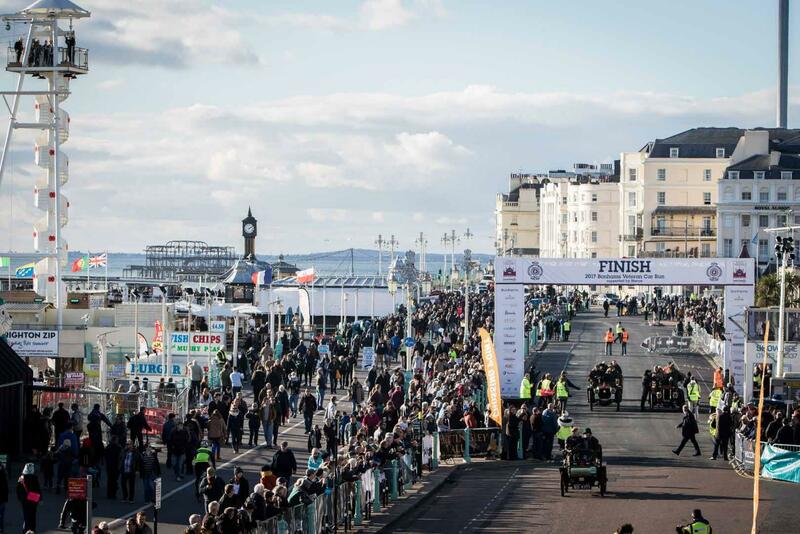 For the fifth Commemoration Run the Motor Car Club and Auto Club joined together and drove to Southsea. 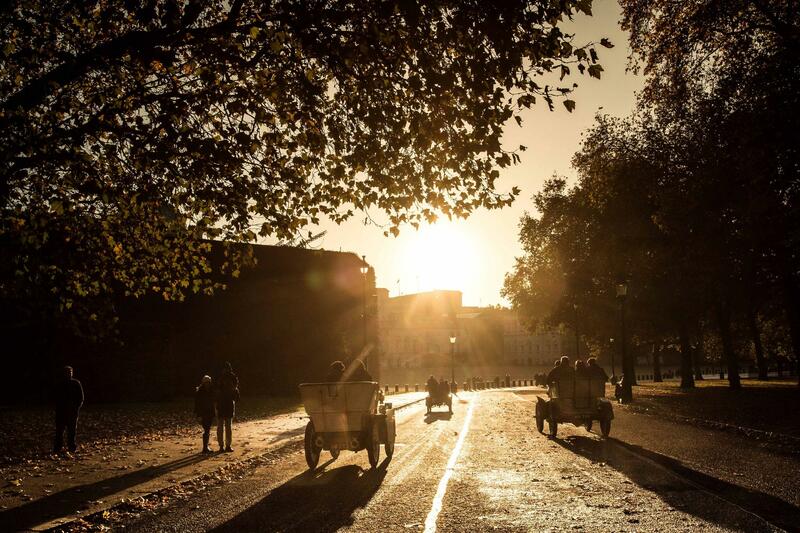 A rerun was made with 174 cars that started in Whitehall Place, London. 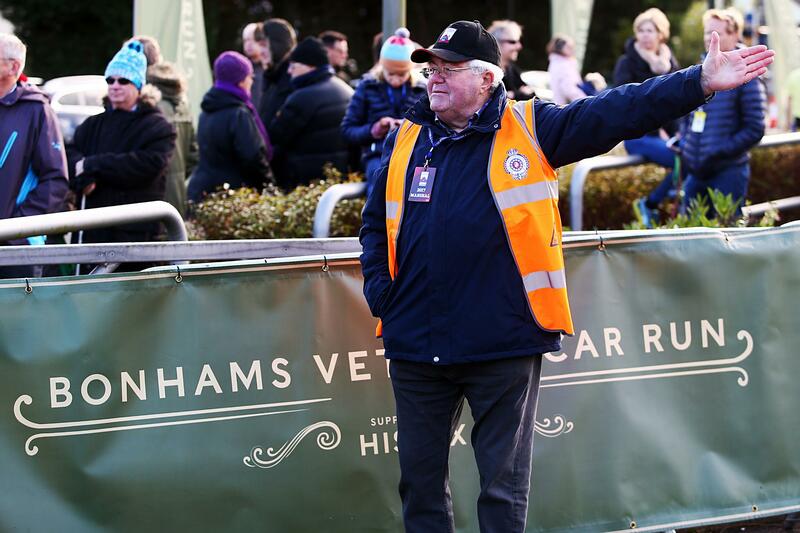 "Non Stop Certificates" were awarded and the Run was advertised to take place irrespective of weather. 1902 saw a Run to Oxford with 193 cars. The speed limit was raised to 20mph and with no further need to celebrate a 14mph limit the Run stopped. 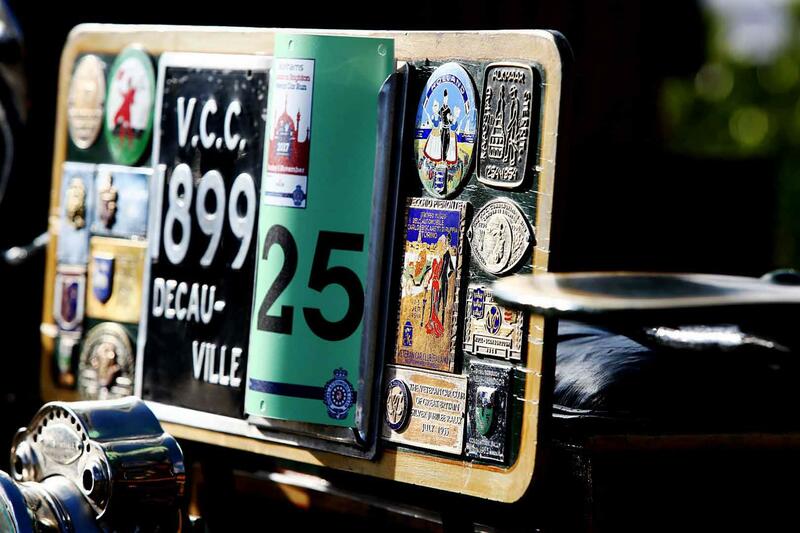 Veteran Car Entry Cut-Off Date. 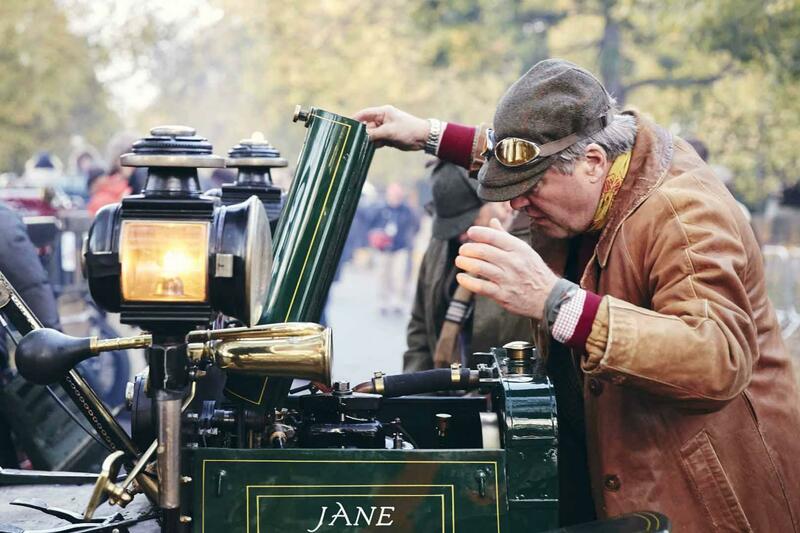 The annual event today attracts over 400 automobiles with an eligibility criteria that requires the cars to be of three or four wheel design and certified that their build took place prior to the 1 January 1905. The Run, keeping as close to the original 1896 day as possible, was reintroduced by the DAILY SKETCH and the SUNDAY GRAPHIC. 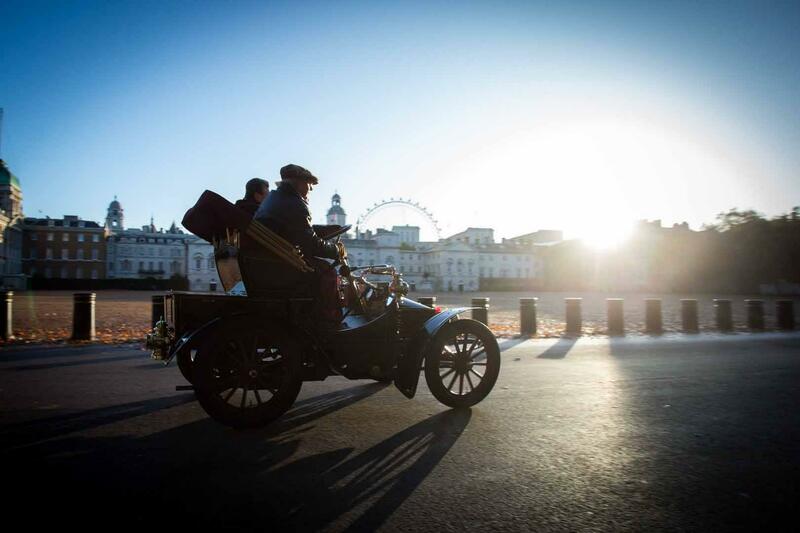 From 1930 to the present day the Run has been owned and professionally organised by the Royal Automobile Club. 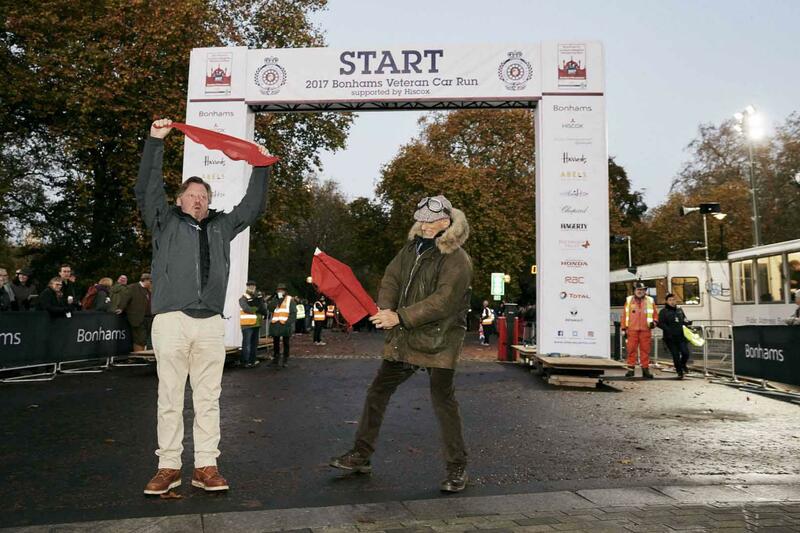 The Royal Automobile Club moved the start of the Run to Hyde Park which has hosted the ceremonial early November Sunday morning assembly ever since. 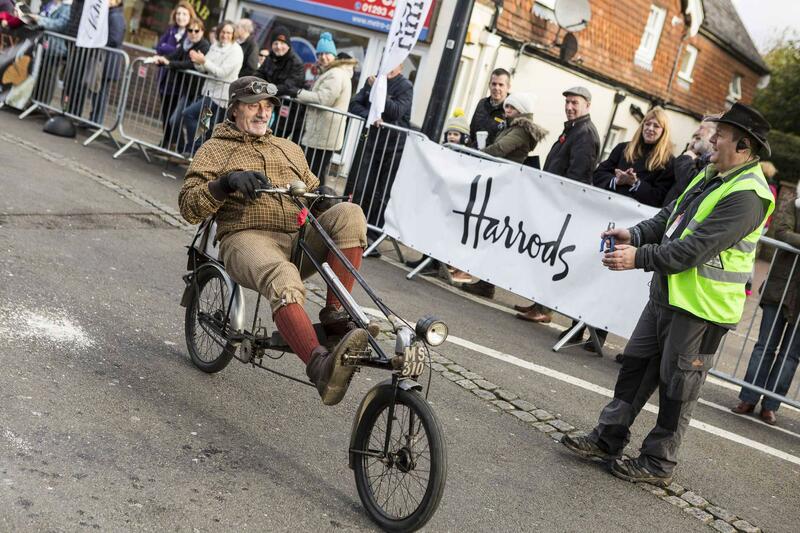 The Run has been run annually ever since with the exception of the war years and petrol rationing. 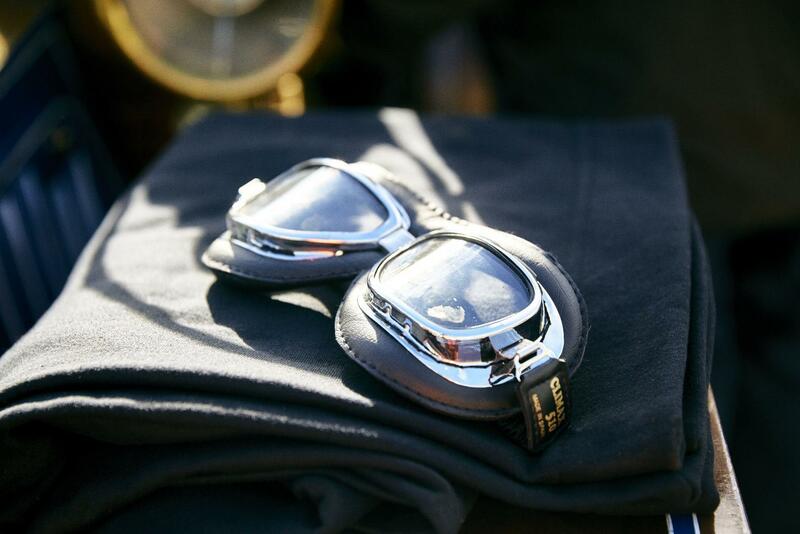 The Run could not take place in 1947 when petrol rationing was in force. It took place every November thereafter. 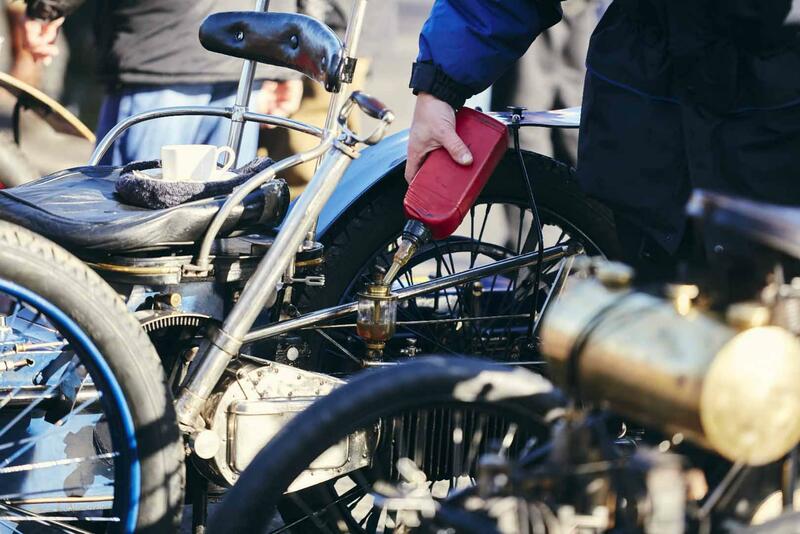 It has been reported that one car did the Run in 1947 using his precious petrol ration. The film Genevieve premiered. 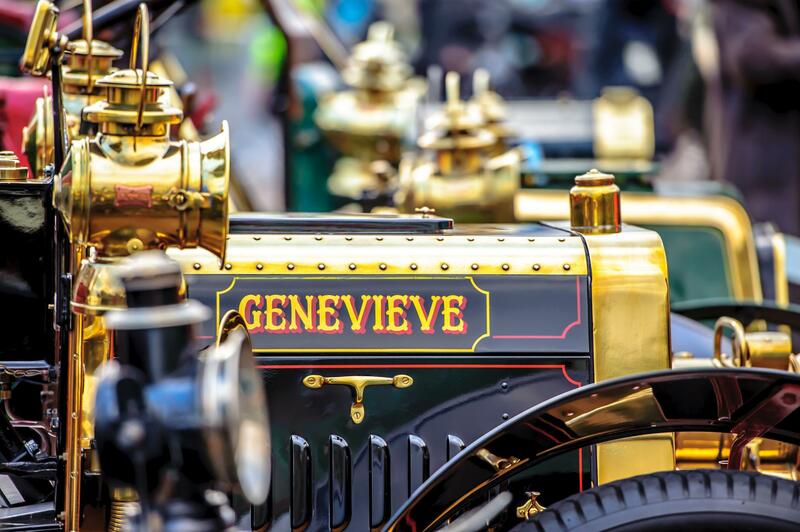 The car Genevieve still takes part in the Run each year. Possibly the start of the fixed date - first Sunday in November. The route was changed on the advice of the Police to go through Croydon. 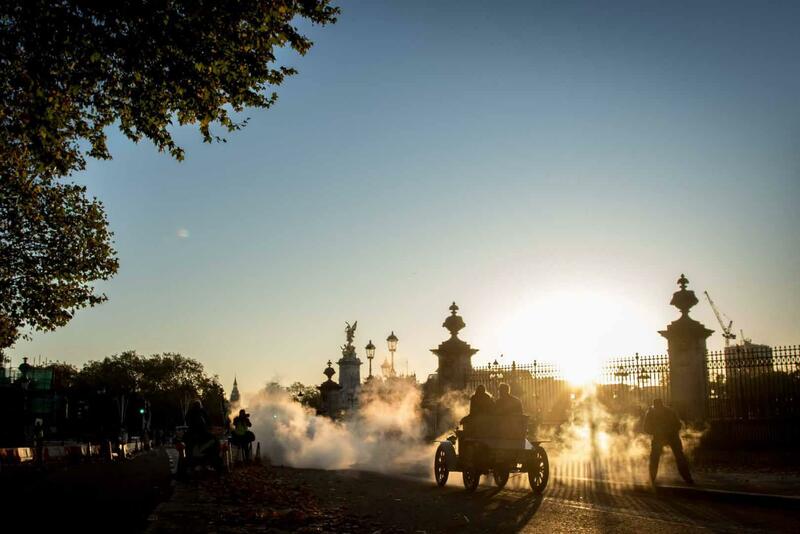 More interest than usual was aroused, when Her Majesty the Queen entered (but did not drive) a 70-year-old Daimler originally owned by her great grandfather King Edward VII and once driven by her father, King George VI. 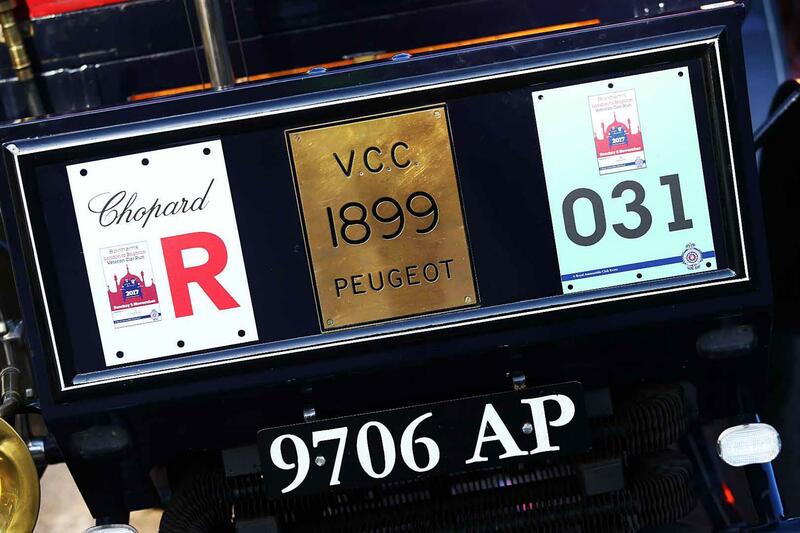 The car has been on many Runs since and completed the 60 miles driven by HRH Prince Michael of Kent and staff from the Royal household. Route change in London, missing out Buckingham Palace and The Mall. 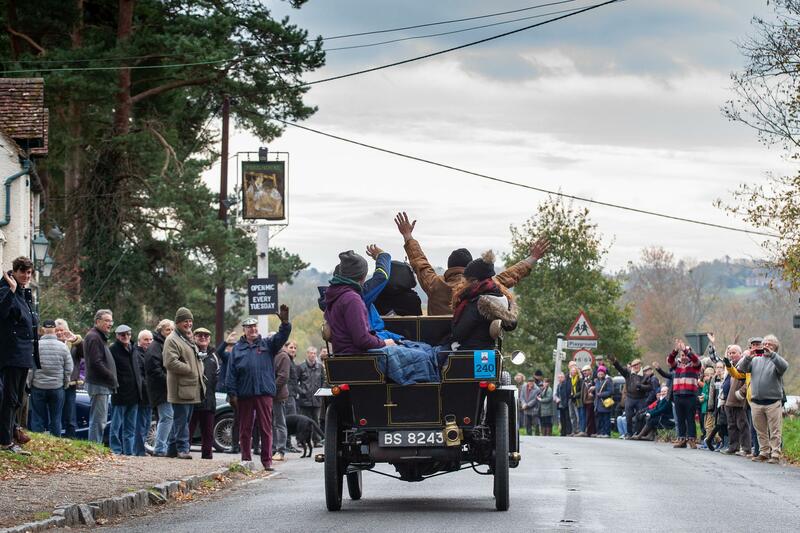 This was the first year (at least in the modern era) that the cars officially stopped at the George Hotel, Crawley. 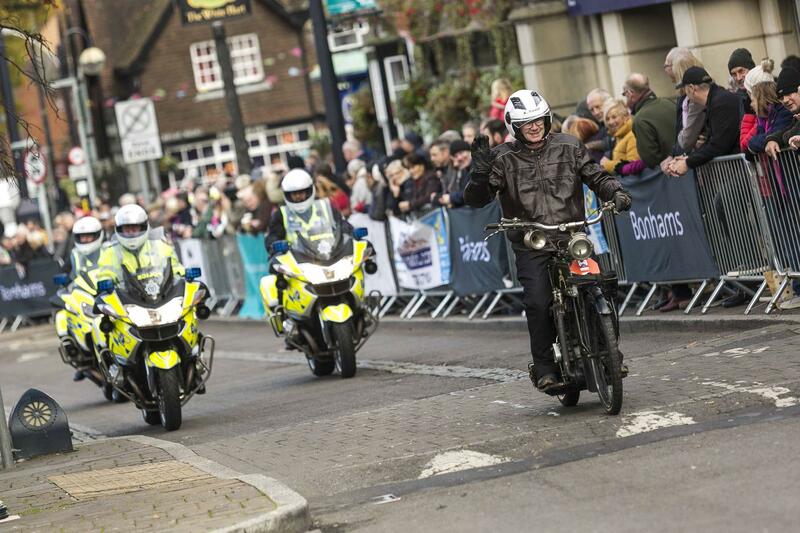 The original initiative came from Crawley Borough Council, and the Mayor of Crawley has attended every Run since. 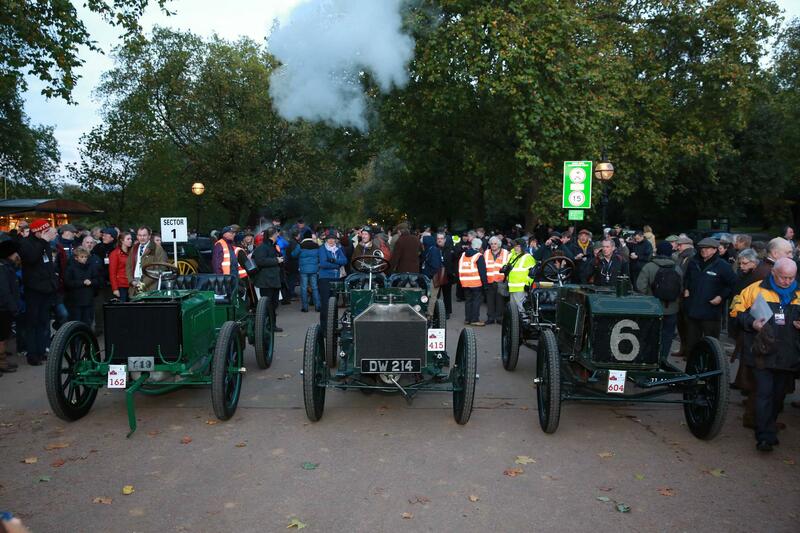 Largest number of cars entered the Run as it was the centenary year. There were 680 cars in total. 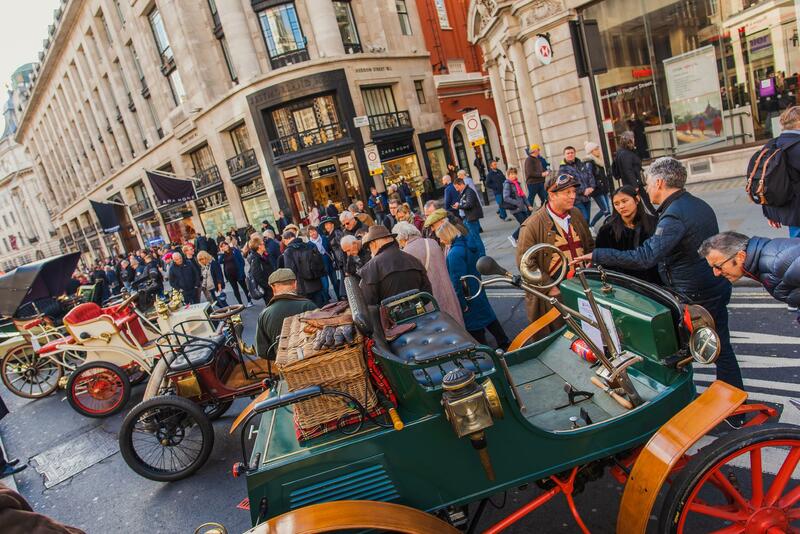 This was the first veteran car concours that took place on Regent Street in association with the Veteran Car Run. 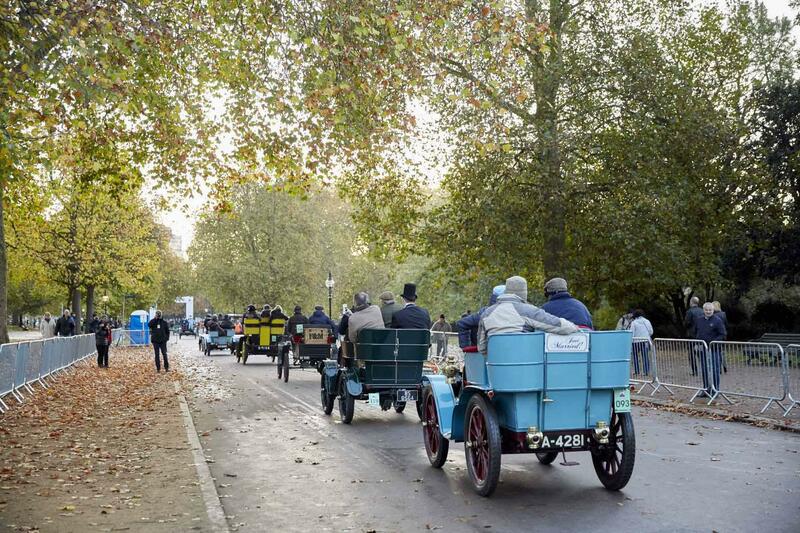 In December 2010 the Royal Automobile Club won a prestigious Federation Internationale de L'Automobile (FIA) Award for its dedicated promotion of the annual Veteran Car Run and its related protection of early motoring vehicles. 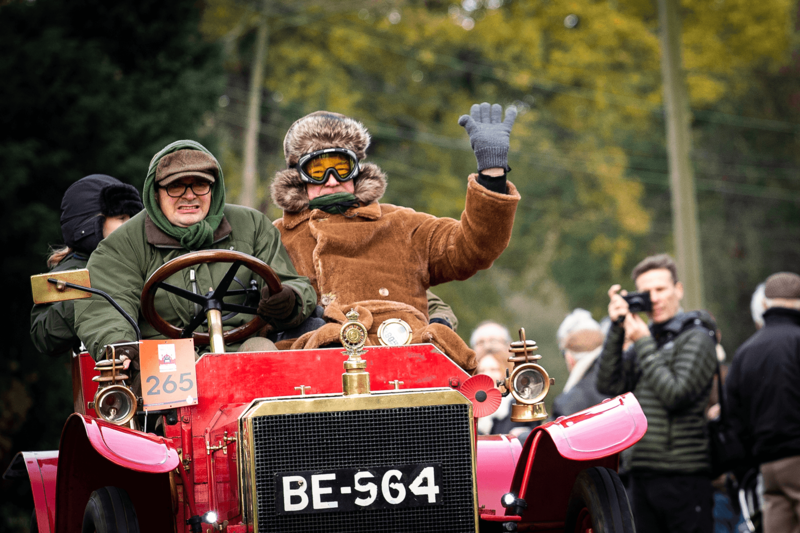 For the very first time, the Run was headed by a trio of legendary racing Napiers. 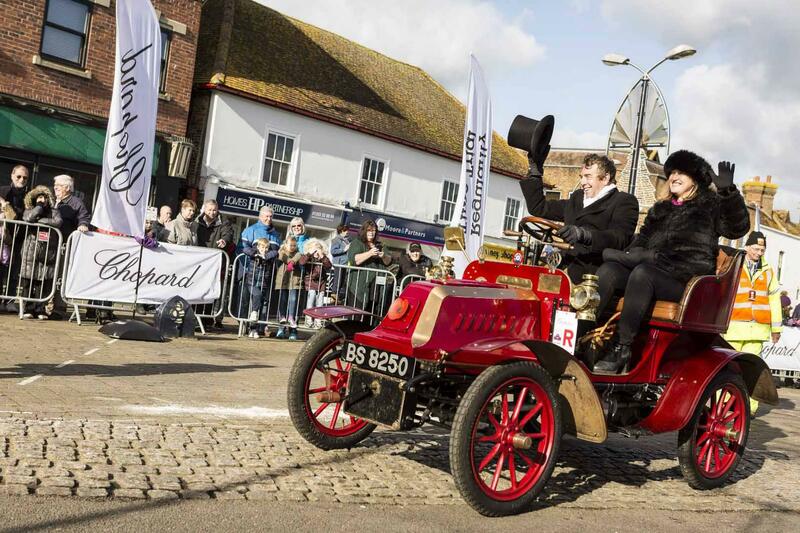 Although examples of these early competition cars have participated in the past, never before have three lined up together, thus recreating the pioneering British team that contested the famous Gordon Bennett Cup races held at the start of the last century. 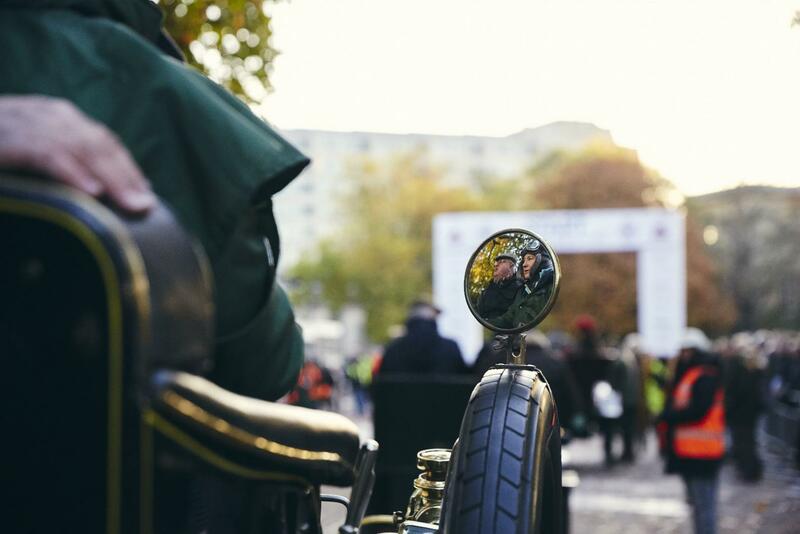 Veteran motorcycles were invited to participate in the Run, leaving Hyde Park just before the veteran cars. 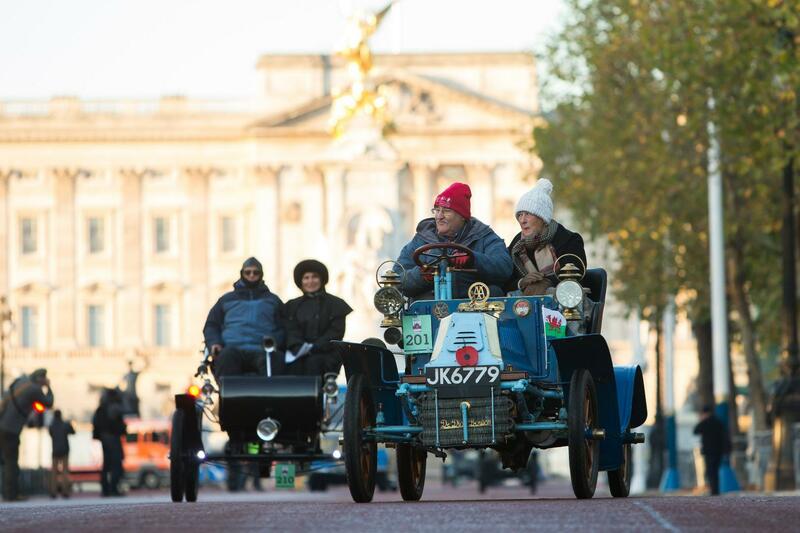 In a bid to ease congestion for veteran cars heading out of London, the start of the Run was split. Half the participants followed the red route, whilst the other half followed the blue.